Melanie Nash has been providing public accounting and business advisory services for over 20 years. Her experience includes a broad range of client engagements and solutions with a focus on clients in the construction, automotive and manufacturing industries as well as in retail and professional services. Melanie also has a great deal of experience in the sale and acquisition of businesses and a strong background in management and finance. 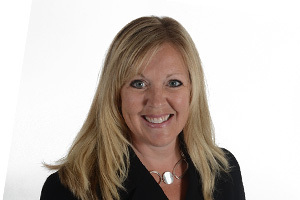 Melanie joined Welch LLP in 2000 after graduating from Brock University, where she earned a Bachelor of Business Administration degree with Honours in Accounting. She obtained her CA designation in 2003. Melanie spent three years in private industry in a Director of Finance role before returning to Welch LLP in 2008 as a Manager. Melanie became a Partner of the firm in 2011. "Use your experiences as examples, not as excuses!" My amazing son who continuously shows me how to be a better person and helps me appreciate each moment.